1. Wash green chillies and remove the stalk. Make small slit at one end. 2. Take water in a wide pan, immerse green chillies in water and allow it to boil. Drain the water. 3. Add curd or buttermilk to the same pan and let them cook. Add grated coconut, jaggery, salt, oil and tamarind paste. Cook until all liquid evaporates. 4. Spicy buttermilk chillies are ready to serve. 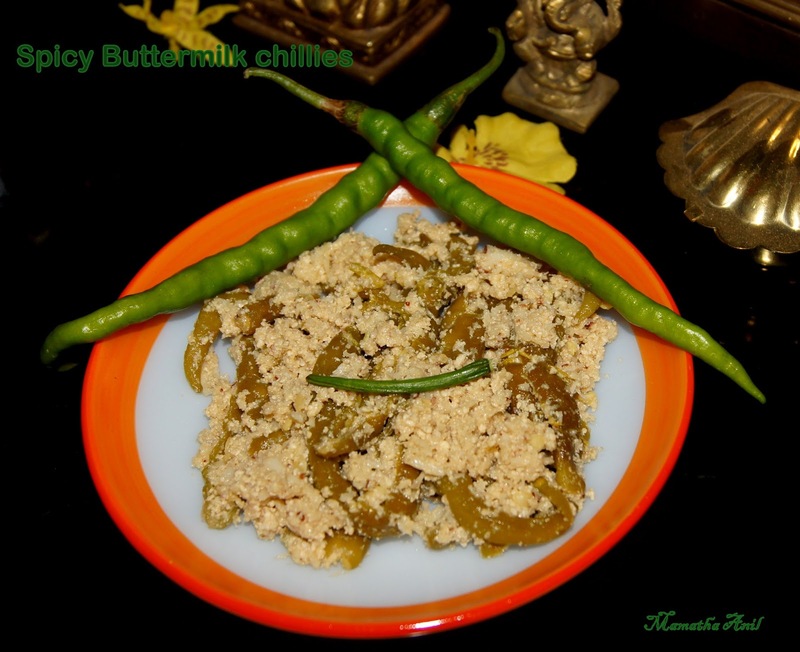 Note: These buttermilk chillies can be added when making egg bhurji.